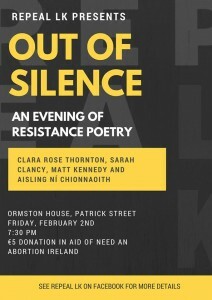 Out of Silence: An Evening of Resistance Poetry Friday, February 2nd, 7pm – 9pm, Ormston House, Limerick. Entry fee is €5 all proceeds will go to Need Abortion Ireland. Repeal LK welcomes you to an evening of resistance verse in Ormston House, on February 2nd, at 7:30pm. 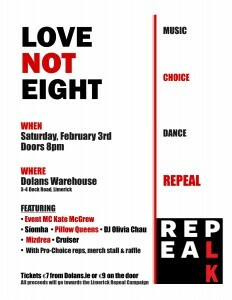 This event is in aid of Need An Abortion Ireland. 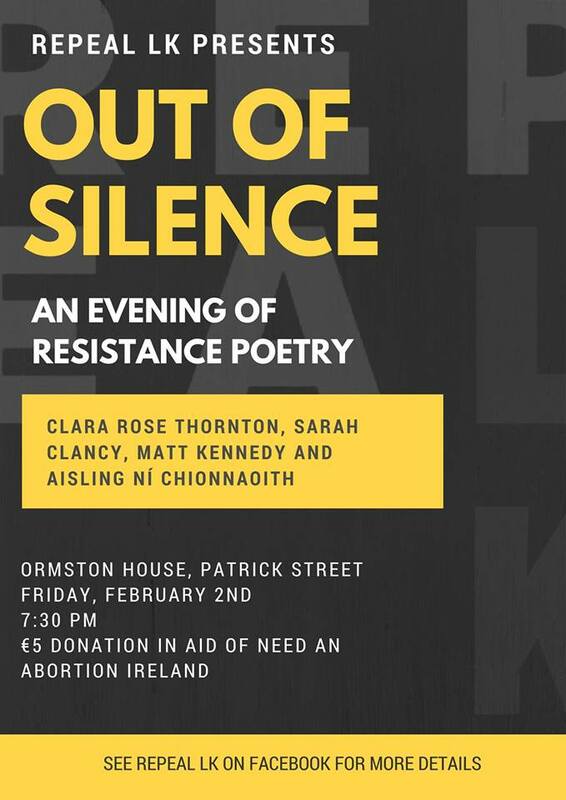 This event will look at different perspectives of reproductive rights through poetry, and will challenge us to look at the Repeal movement with an intersectional lens. 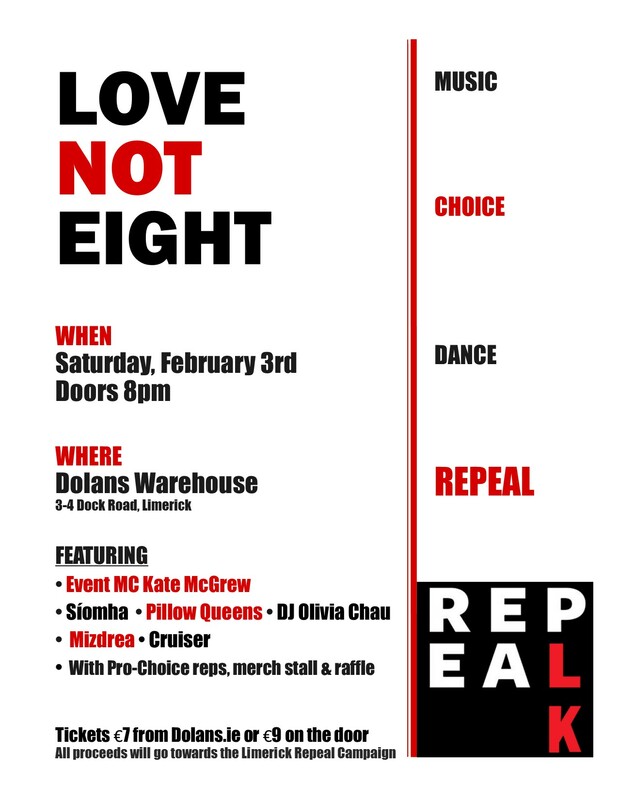 On Saturday, February 3rd at 8pm join us in Dolans Warehouse for a super line up of amazing musical acts and Pro-Choice activists. Tickets €7 from www.Dolans.ie or €9 on the night. All proceeds will go towards the Limerick Repeal Campaign. With the abortion referendum happening later this year it is more important than ever that we have start having open and honest conversations about the eighth amendment and why it needs to be repealed. The purpose of LOVE NOT EIGHT is not only to entertain people but also to start these conversations and educate people about the harmful effects of the eighth amendment and why everybody deserves the right to full bodily autonomy. Please come along and join the movement!